Dreamt is the only word in the English language that ends with the letters mt. It refers to the past tense and past participle of the word dream. (Wikipiedia).Dreamt is more used in British English than American English. 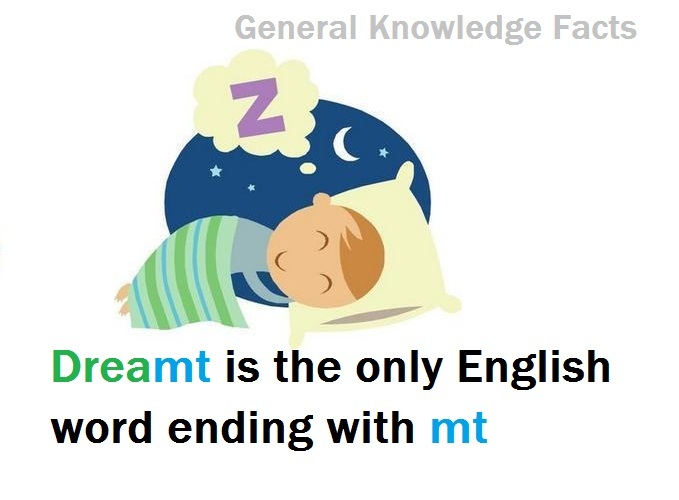 The less used derivatives of the word dream like undreamt,adreamt etc also ends with the letter mt.